Charstate Park hosts a small playground over 2.06 acres of land. It is located in a residential neighborhood and has considerable open space. Space DetailsThe park covers 2.06 acres of space. 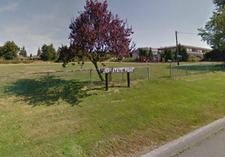 Proposed uses should consider the existing playground.